Adjust line and paragraph spacing from the Text Properties panel. Tap on some text and the properties panel will slide in on the right. 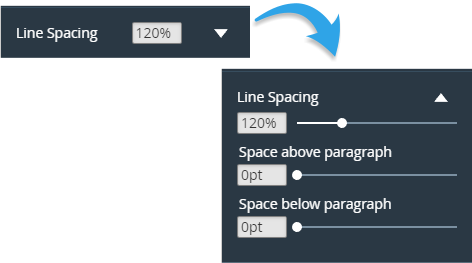 The Line spacing panel itself expands with a tap to reveal options for adjusting space both above and below a paragraph.